About a month ago my parents took me out for dinner in Chinatown, at Ocean's Wealth. It's one of the first restaurants we ate at in Chinatown after I came to Boston for college. They have this little lobster deal that attracts a lot of customers. If you buy 3 regular entrees (at $11 each), you get a lobster entree for $10. Technically they used to advertise it as 3 lobsters, but anyone with half a brain could see that they didn't give you 3 full lobsters, and they were small-ish lobsters too, so recently they've changed the advertisement just to say that you get "lobsters" haha. 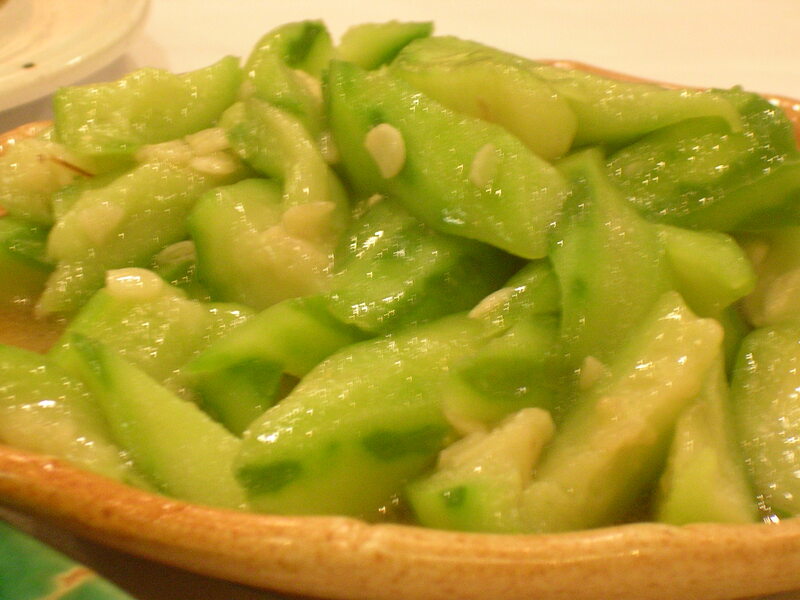 Next came a jade green dish of Chinese okra (also known as luffa). It's a gourd type of vegetable, and you eat it cooked in a clear sauce without the skin and the seeds. Good Chinese okra is very delicious if it is cooked just right. It's soft on the outside but retains a refreshing crunch on the inside. 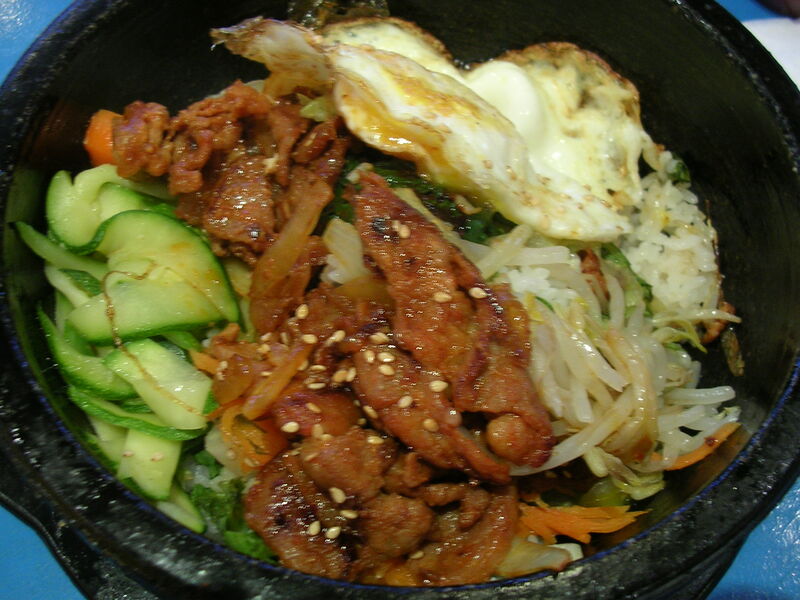 It has a mild flavor, but usually the clear sauce is what gives it taste. You really just eat the okra for its interesting texture and beautiful color. Interestingly, and I was just reading about this on Wikipedia, if you let the Chinese okra grow to maturity and then process it so that all that remains is the fibrous network of the gourd, then it can be used as a loofah, which is named after this plant (luffa)! Isn't that cool? And finally, our lobster entree! 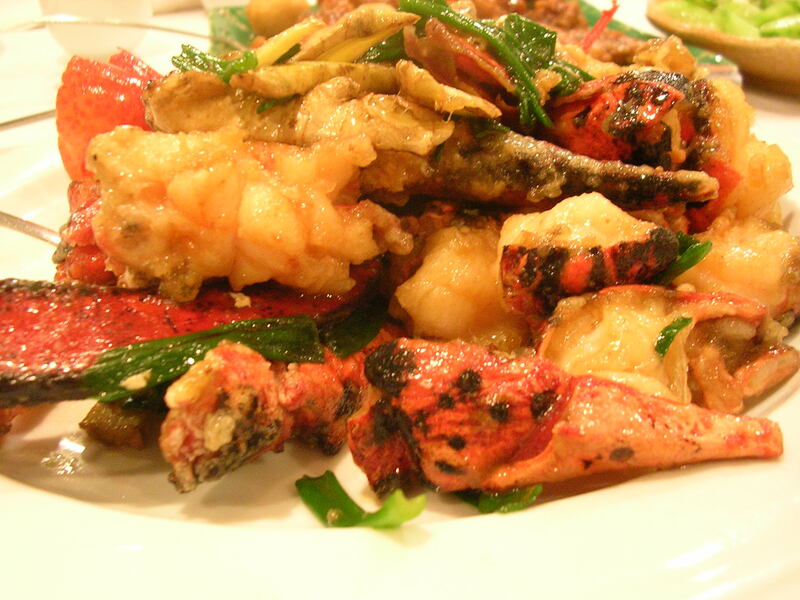 They cut up the lobster into chunks (shell in-tact) and give it a light coating of flour before stir frying it. You have the option of getting it stir fried with black bean, garlic, or ginger and scallions. We opted for the ginger scallion style. The meat is quite good, when you can get your paws on some of the tail pieces, but a lot of the lobster goes to waste since it's nearly impossible to eat any meat out of the body or head sections. I personally think it's overhyped, as I think the lobster is neither that good stir fried nor worth the $10 price tag. I much prefer getting a 1 pound lobster and boiling it to perfection, then eaten with drawn butter and a soy-based dipping sauce my mom likes to make. But lobster is such a buzzword nowadays, people flock to this place. It does look quite good, I have to admit, but what can I say? I just like my lobster cooked differently. My parents sure enjoyed it this way. When my parents and I were down in Cape Cod on vacation, one of the things we did, of course, was to try out some of the fresh fried seafood that the area is quite famous for. 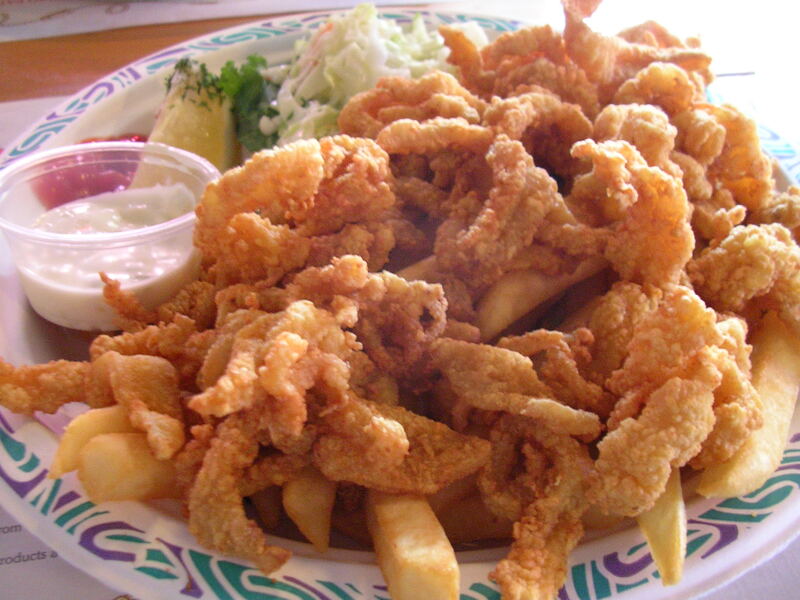 There were fried clam strips, fried whole belly clams, fried scallops, stuff quahogs, fried mussels, everything is fried and comes with lots of french fries :) I had myself a plate of fried clam strips which were absolutely wonderful. 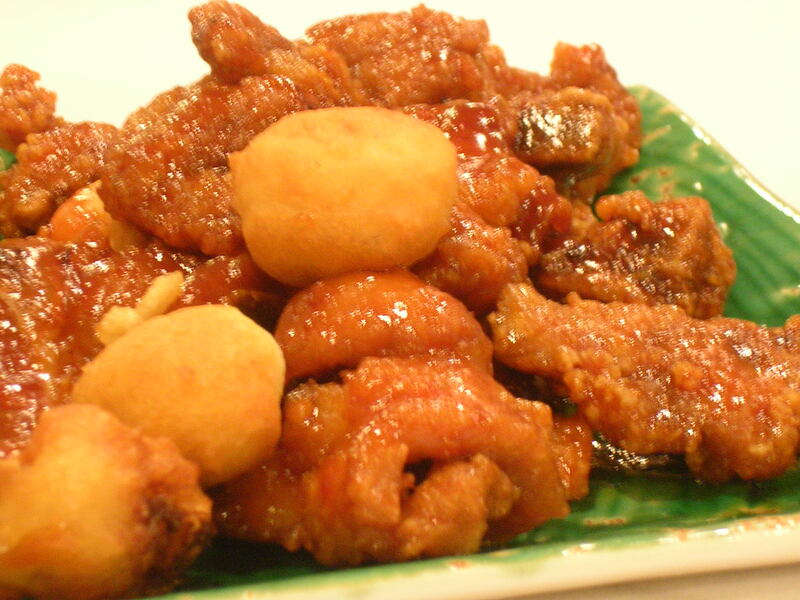 I really liked the crunchy coating and the chewy clam strip which reminded me of eating fried calamari. The french fries were also hot and fluffy on the inside with a crispy surface that was comfort food to me after a long day at the beach. Delish. 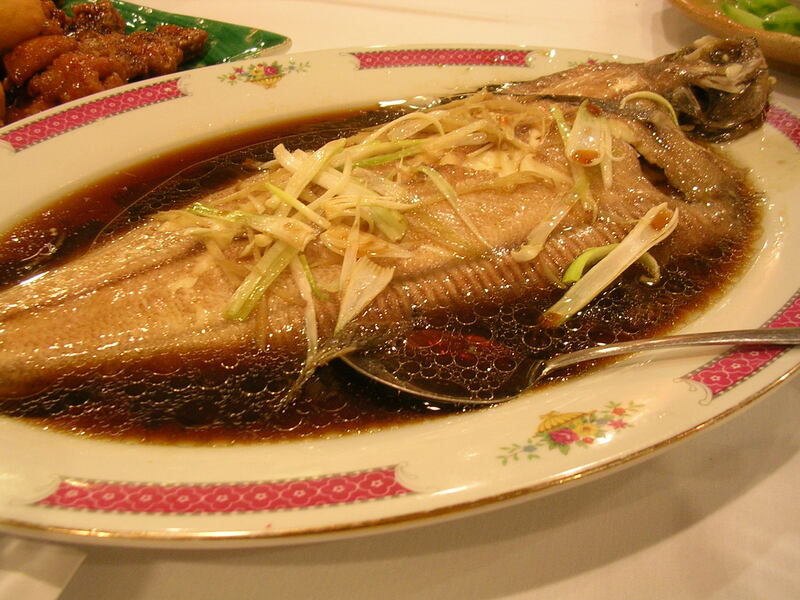 This entry was posted on Thursday, August 30th, 2007 at 2:36 am	and posted in Chinese, Korean, restaurant, seafood, Uncategorized. You can follow any responses to this entry through the RSS 2.0 feed.